Professor Willem Petrus Esterhuyse (Willie) Esterhuyse was born in 1936 in Laingsburg, Western Province (now Western Cape), on his father’s farm. From humble beginnings, Professor Esterhuyse rose to become a leading Afrikaner writer, philosopher and intellectual. He studied at the University of Stellenbosch, where after a sabbatical of two and a half years in the Netherlands, he obtained a D Phil. His initial qualifications were in theology and philosophy. He started his career as an academic, in 1965, as a lecturer at the University College, Durban (University of Durban-Westville, now University of kwaZulu-Natal), and in 1967 moved to the then Rand Afrikaans University. In 1974 he joined the university's Philosophy Department as a professor until 2002. From 1999 to 2006 he taught Business Ethics part-time at the University of Stellenbosch Business School, and lectured in management at the University of Cape Town's Graduate School of Business. Professor Esterhuyse is a leading figure in the Afrikaner community who, through foresight and a profound love for his country, realised the futility of trying to sustain Apartheid. In an attempt to forestall a bloodbath and at great risk to his own standing and credibility, he doggedly persevered with the task of convincing other significant leaders within his own community of the need to open negotiations with the African National Congress (ANC). These initial talks, at first testing the waters, paved the way to real engagement and enabled both the National Party Government and the ANC to develop a deeper understanding of each other. Later on, when real negotiations towards a democratic South Africa stalled, Professor Esterhuyse’s cool head and keen sense of fair-play and justice prevailed to drag negotiators back to the table. Professor Esterhuyse made a humble yet significant contribution to the ultimate success of negotiations, which finally led to the interim constitution that laid the basis for full democracy in South Africa. He has published extensively over a wide spectrum including philosophical and political issues. His numerous publications include Apartheid Must Die, Die pad van hervorming, Anton Rupert: Pleitbesorger vir hoop, and The ANC and its Leaders. With Ebbe Dommisse he wrote Anton Rupert: A Biography. He was the compiler for Thabo Mbeki's Africa: The time has come and Africa: Define yourself. His most recent books are God en die gode van Egipte and Die God van Genesis. He was a director of, among others, Murray & Roberts, Metropolitan Holdings, Medi-Clinic, Plexus and Stellenbosch Vineyards and a trustee of the Sanlam Demutualisation Trust. He is currently a trustee of the Thabo Mbeki Foundation, involved in the Thabo Mbeki African Leadership Institute (TMALI), and is non-executive chairman of Barinor Holdings Limited. 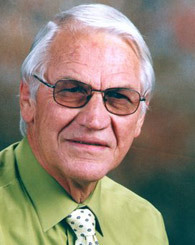 Professor Esterhuyse is the recipient of numerous prizes and awards, including the Sunday Times prize for political literature (1981), the Stals Prize for Philosophy, awarded by the South African Academy for Science & Technology (1984) and the NP van Wyk Louw Medal, also from the South African Academy of Science & Technology (1999). He was elected "Visiting Professor of the Year" at the University of Cape Town’s Graduate School of Business (1997), and "Professor of the Year" at the US Business School’s MBA exchange program with the University of Nijenrode, Netherlands (2001). He received the Institute for Personnel Management's President’s Award (1999) and in 2003, the University of Stellenbosch awarded him an Honorary Doctorate. He has served as board member and later as chair of Artscape, and also as board member of the Klein Karoo National Arts Festival and of Freedom Park, and lastly as trustee of the Nations Trust. In 2003, the South African Government conferred The Order of Luthuli in Silver on Professor Willie Esterhuyse for his outstanding role in opening and maintaining dialogue between the ANC and the Apartheid government, which contributed both to the removal of obstacles to negotiations to end Apartheid and create a democratic, non-racial, non-sexist South Africa. Professor Willie Esterhuyse lives in Stellenbosch with his wife, Annemarie. They have six children.